Pardeeville- Jean Audrey Miller (McVane) was born on March 23, 1933, delivered at home by her father in Egg Harbor. She was born to eternal life on March 19, 2019 at the age of 85 years. She grew up in Marinette,WI, attended Marinette High School and graduated from Sonoma Community College in Fairfield, CA.She met the love of her life on a blind date and married Ronald Dean Miller on September 30, 1955. She’s was known to say, “Marry a military man and you’ll see the world” and travel she did. They lived in Racine, WI 1956-57, St. Paul, MN. 1957, Cape Cod, MA. Otis AFB 1957-60, Anchorage, AK Elmendorf AFB 1960-64, drove the Alcan highway from Alaska to Wisconsin with 4 small children, then west to North Highlands Sacramento, CA McClellan AFB 1964-69, Travis AFB, CA 1969-74, Madison, WI 1974-75, Sun Prairie, WI 1975-95 and Pardeeville, WI 1995-2019. She was loving wife of Ronald Dean Miller, and sister to Mary McVane, Jimmer McVane, Daniel McVane and Joanne Koss (Hilton). Jean cherished her role as a devoted mother creating a loving home and was mother of Debora (Randall) Nischik, William Miller, Raine (Ronald) Benoy, and Glenda (Perry) Miller. Loving grandmother of Jamie (Mike) Jerred, Jodie (Jamie) Kroll, Caylen (Amanda) Schroeder, Mallory Schroeder, Makenzie Schroeder, Jason (Brenda) Horstman, Rachel (Chad) Rury, Amanda Metcalfe, Alexandra (Mario) Millonzi, and Devon Miller. Devoted great-grandmother of Bailey Jerred, Koen Jerred, Emma Horstman, Riley Horstman, Roman Kroll, Hattie Kroll, Ellianna Schroeder, Camille Schroeder, Foster Rury, Zoe Millonzi and Luca Millonzi. She was preceded in death by father William Earl McVane, mother Ruby Sybil McVane (Hilton), brothers and sisters; William Jr. and Jonn McVane, Maxine Bohling, and Alice Barrette. She was a teacher’s aide for 28 years for the Madison School District. Once retired, she volunteered at the Pardeeville School District. 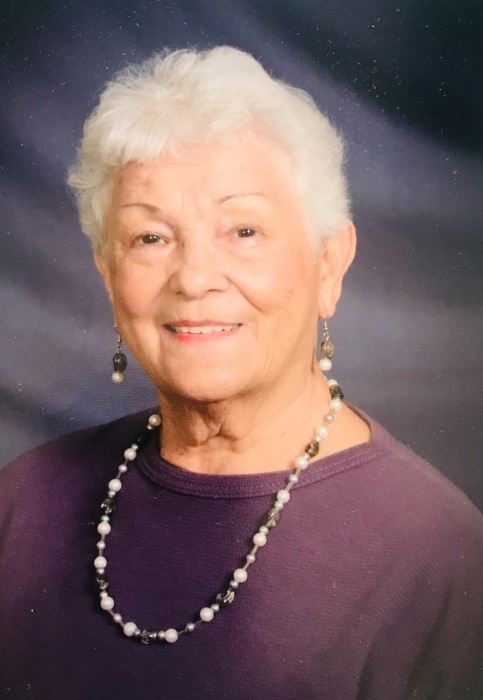 Jean was involved in Girl Scouts, Cub Scouts, PTA, Brat Fest (34-year volunteer) and was a 44-year member of Beta Zeta a chapter of Epsilon Sigma Alpha Sorority a philanthropic organization raising funds for St Jude’s Hospital and served as treasurer and president. Faith played a central role in her life and she was a member of Wesleyan Church of Pardeeville since 1995, assisting with Awanas and the choir. Her best day “The day I became a Christian”. She loved to travel and visited most of Europe, Australia, New Zealand, Hawaii, and the Caribbean. She made friends easily and cared for others deeply, always taking time to listen and help others. Her favorite memories were of family celebrations, her bible study, attending church and singing silly songs with her grandchildren. Funeral Services will be held Saturday, March 30, 2019 at 12 Noon at Grasse Funeral Home, 119 Industrial Drive, Pardeeville with Rev. Chris Sherrick officiating. Visitation will be held from 9:00 AM until the time of services. In lieu of flowers, please consider a donation to St Jude’s Hospital, sent to Carol Beck 5700 Prairie Stone Dr, McFarland, WI 53558. Donations will be greatly appreciated. A special thank you to Baraboo Hospice House staff, Dr Kristen Bradley, Dr Schuster, and University of Wisconsin Hospital staff for the care and compassion Jean received.